Your private keys are stored on your Pillar Wallet. This is why it’s extremely important to store your 12 words securely, as they are the only way for you to restore your wallet if you lose or damage your phone. By the way, if you need to know your private key you can find it out by using an external wallet, for example MyEtherWallet. Firstly, you need to have your 12 words phrase. In order to find it please open Home tab, then find Settings (gear icon) at the upper right corner of the screen, and then choose “Reveal your backup phrase”. Enter your PIN code and you’ll see your 12 words. If you can’t see this option you might have been to backup it first. 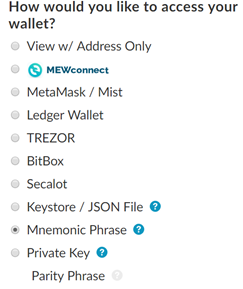 After obtaining 12 words, please go to www.myetherwallet.com and go to the View Wallet Info tab. Then paste your 12 words from Pillar Wallet into the field and press unlock. You will be asked to select HD derivation path. You can leave it as it is or create a custom one. Next, you will need to select the address needed. You can find your public address in the Pillar Wallet (Assets tab, choose any asset and tap on “Receive” button). Then click on “Unlock your wallet”. After that, you will receive your wallet info, and the private key you’ve been looking for. Just click on Eye icon to see your private key! But please make sure that nobody except you has access to your Private Key or Backup phrase. If you lose your Private Key or Backup phrase you will not be able to get access to your funds so be careful!